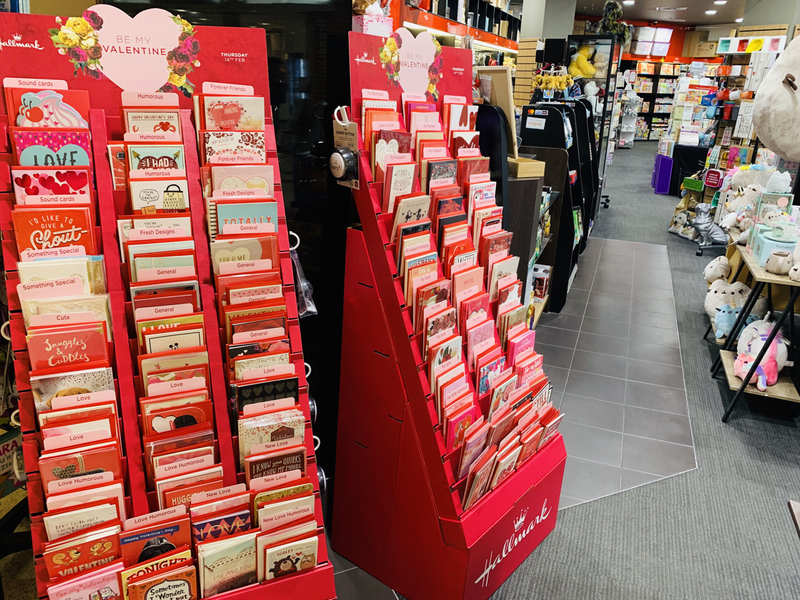 This weekend is the start of the real Valentine’s Day season in many retail situations. I know in my case that weekends are critical to purchase volume for the season. We have cards on the lease line. The photo shows what we have at one entrance. This entrance display is for convenience and pitching range – it’s more that the two supermarkets nearest to us have. We have our main Val offer pitched elsewhere too, providing an immersive and unique gift experience. We also have a considerable range of non traditional Val, expanding the scope of the season into more of a fun offering, helping those who would not usually purchase for the season to consider it. Seeing the same stands in supermarkets. We always try to pitch something different.